Have you ever thought of setting up an online business? Apart from effort and dedication, it needs cold hard cash. The majority of the setup requires some money, which can be a hindrance if you have an awesome idea but not many resources to help you reach it. Small business owners without much previous experience can also find it challenging to obtain financing needed to launch their business to new heights. That’s one of the reasons why so many small companies focus on online businesses. You can save a huge sum of money by running a business on this platform. Many companies around the region have experienced a great deal of success online and have expanded their businesses to off-line stores. Therefore, this article will give you a some insights to running an online business and how you can save some money. How Do You Save Money by Running an Online Business? There are companies that assist startups in their new ventures. Just like Host Geek’s Startup Program – a program that saves new businesses initial costs when they are trying to get their businesses online. Host Geek helps all new startups by giving them 50% off first year costs for all Host Geek services! 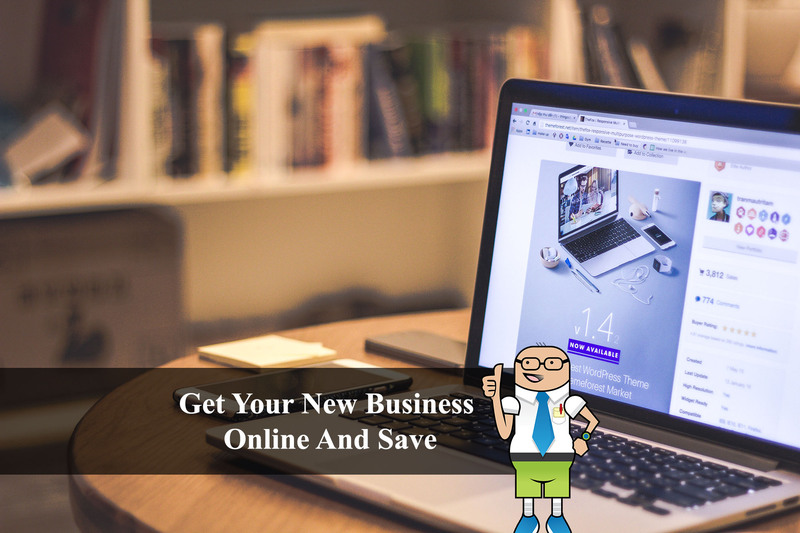 That is a great saving for anyone who is serious in starting a business in Singapore and wanting to push their business into the online space. This is the best way to save as it gets rid of your biggest expense, which is buying or renting commercial space. You can set aside a small room in your home, turn it into a small office and run your business from there. This doesn’t take much time and will allow you to focus on building your company instead of wasting time on the commute. New business owners eventually do hire additional office space simply because they want to separate their work and personal lives. You can invest in an office and expand your team when your business takes off. This also helps reduce investment risk. If your business fails, you haven’t spent too much money on it. Businesses can generate a lot of data. You need computing space to house all of your customer information, transactions, business communication, and other such data. Fortunately, there’s no need to invest in expensive servers and databases. You can book any amount of storage space and power through cloud computing. Cloud computing is scalable, which allows business owners to start out small and then scale up when needed. This makes setting up a small business very affordable. Cloud can securely host your website, company information, help keep your business running through SaaS or Software as a Service. SaaS includes essential business processes like accounting, marketing, project management, HR, etc. Many of these processes are automated and don’t require much human input. They’ll help keep your business running at a very low cost. An online business can’t exist without a good website. It is important to spend as much money as you can on this aspect of your business. A great website will attract more customers, showcase your products or services accurately, and provide a good platform for digital marketing. You can still have a great website without spending too much money. With some research and care, you can find the ideal fit for your requirements. A business can’t grow without good customer service support. This can consume a lot of resources if you don’t outsource it. Find a reputable company to handle all your communications with your customers. They’ll handle calls, emails, and messages for you and only direct the most essential information to you in real time. This allows you to focus on your business and make sure your products are impressive. You can also hire someone to respond to clients on your website chat box. Prompt chat box replies lead to conversions and help keep your clients happy. Digital marketing is essential if you want your business to thrive. Fortunately, this form of marketing is also more affordable than traditional marketing systems. You can create Paid ads, well-researched content, and ensure your brand is visible on social media. Active digital marketing will spread brand awareness and draw more people to your website. A good digital marketing strategy is lean, straightforward, and delivers good returns on investment. Once you have a sound strategy in place, your business will move at a steady pace for many months. You can hire a professional digital marketer to maintain your campaigns as soon as you have some resources to do so. Where Should You Spend Money? It’s also a good idea to hire competent and skilled people for your company. The startup team plays an important role in the overall success of your business venture. Find people who are committed and willing to work hard for setting up a small business.